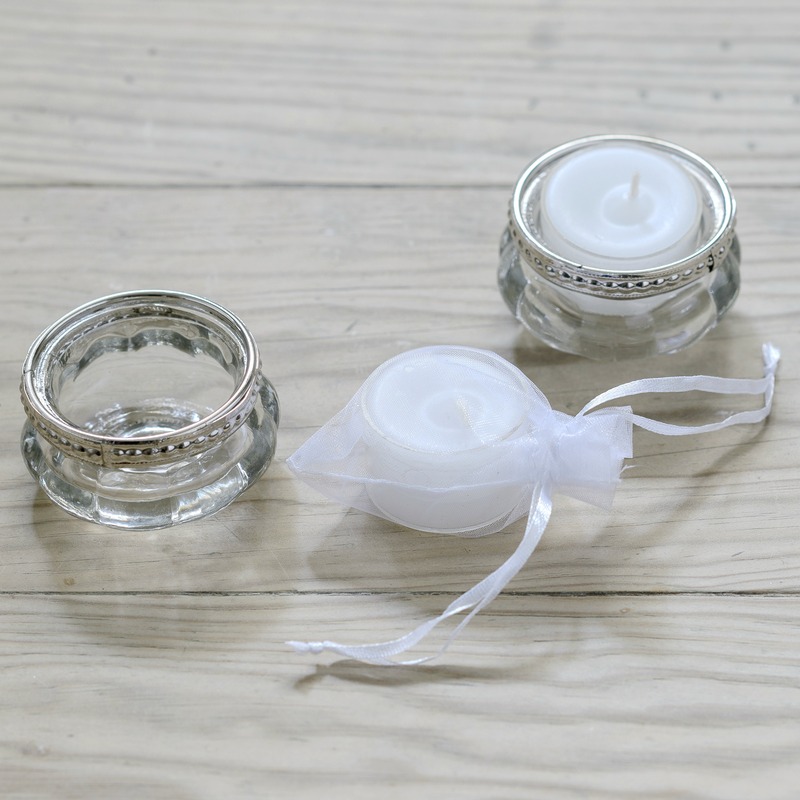 Pretty clear glass tea light holders with an antique silver metal rim for extra special detailing. 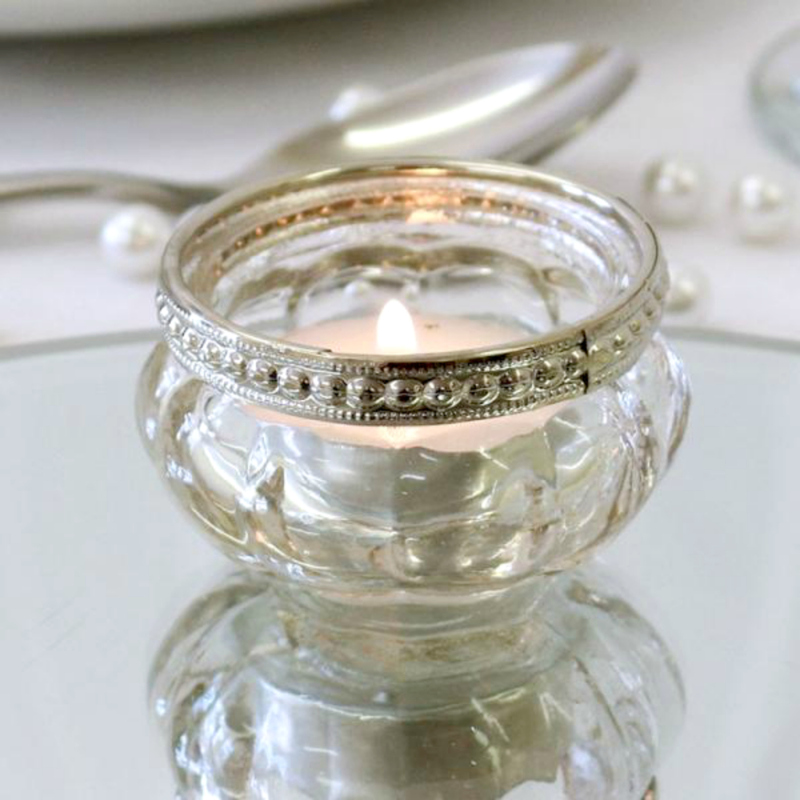 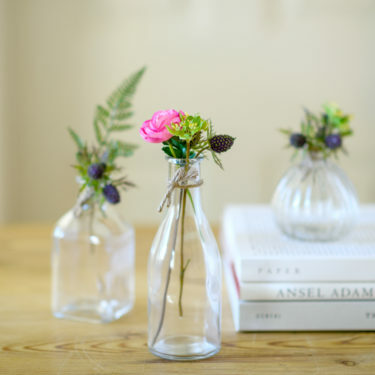 Place on your guest tables, along fire places, window sills other areas at your wedding venue. 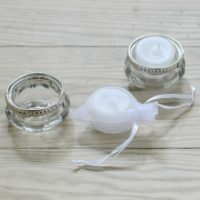 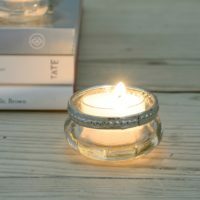 Our clear standard size tea lights are a perfect fit and will look charming as they shine and glimmer giving a warm glow. Please Note * Price is for one tea light holder.